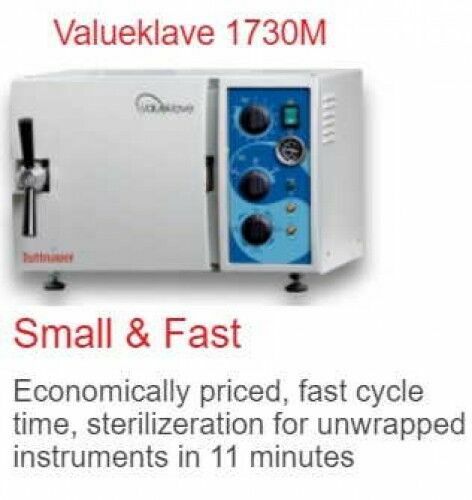 The Valueklave 1730 Autoclave will satisfy all of your basic sterilization needs at an economical price. 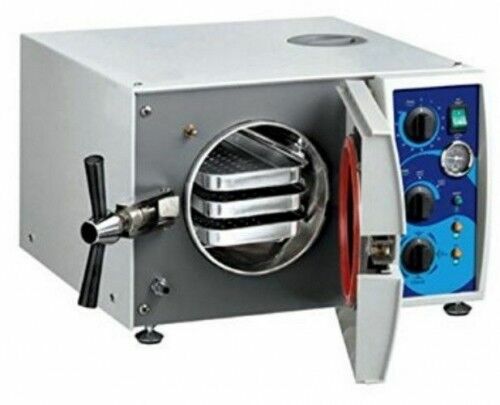 The compact size - 7” chamber makes it a perfect primary unit for small offices or a second autoclave for larger practices. The fast cycle time and heated drying deliver a quick turnaround for wrapped or unwrapped instruments. The simple controls and easy closing door make this unit a breeze to operate.